Bears. They’re big, they’re scary, they can kill a human being with one swipe of their massive bear paws! Sometimes they like stealing pic’a’nic baskets. And sometimes, superheroes and villains like to dress up as bears. There are a lot of animal-themed comic book characters out there in the world. I’ve written about cats, rabbits, birds and bugs, so now we’re going to tackle bears! Why? Because there are a lot of really neat comic book bears out there that deserve their moment in the spotlight! And then there are some real stinkers. Join me after the jump for a bit of both! There are a lot of great superhero parodies in the Tick, not most of which is Bi-Polar Bear. Spotted for maybe half a second in a random episode, Bi-Polar Bear was ready to leap into action…until he wasn’t. 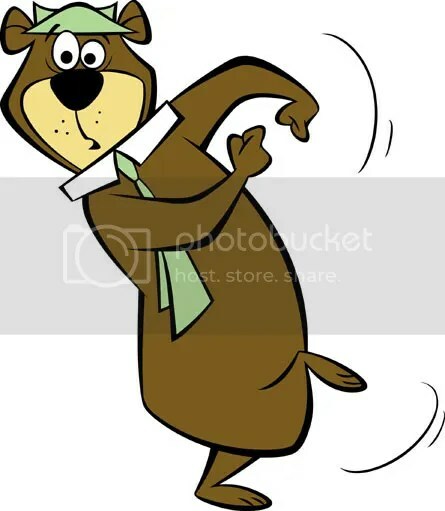 When a baby bear cub is genetically altered in a laboratory experiment, he becomes Buster the Amazing Bear! He can walk, he can talk, and he can defeat a giant, hyper-mutagenic cockroach! This was a short, manga-influenced series released in the early ’90s by writer/artist Tommy Yune. Short, sweet and bearable. Not to give too much away, but this is the first of multiple Russian characters modeled after bears. I guess the two just go together like peanut butter and jam. This Bear is Fyodor, a normal boy whose father started training him from a young age to compete in the Olympics. He even started injecting Fyodor with experimental steroids, turning him into a hairy little boy. 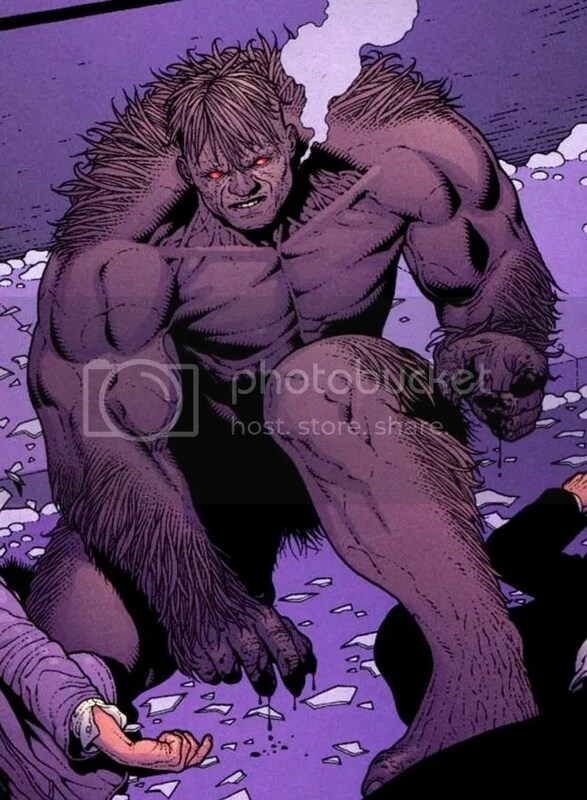 Then Fyodor’s father was killed by a mobster, who adopted Fyodor as his own and continued his steroid therapy until Fyodor was transformed into a giant, hairy, bear-like mob enforcer! It was only when Batman arrived to fight the mobster that Fyodor learned the truth about his father. The Bear turned on the mobster and defeated him. He then went on to declare himself the protector of Moscow, making him the Russian version of Batman. Because that’s what you do when Batman saves your life. Sometimes, the only things that matter in life are puns. Such is the case of the Just’a Lotta Animals, a world where the members of the Justice League are all animals. You’ve got Super-Squirrel, Batmouse, Wonder Wabbit, the Green Lambkin, the Martian Ant-Eater, and it really does just go on and on. 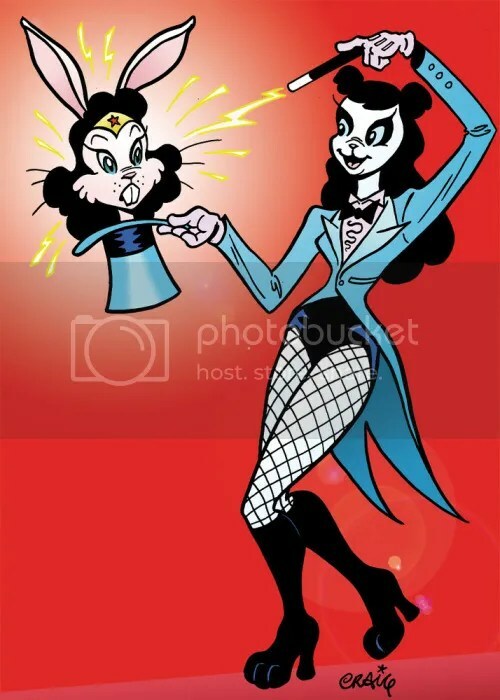 Among this group is Zap-Panda, if the sorceress Zatanna were a panda. That’s really all the explanation one needs. I’m sure it makes much more sense in context. 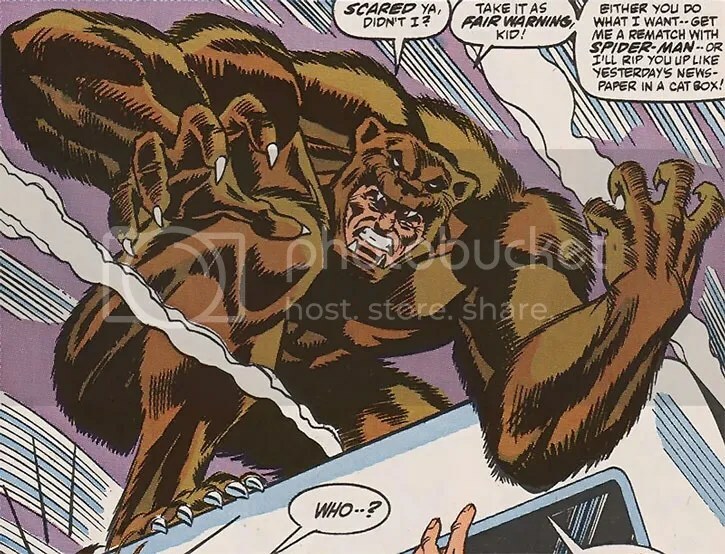 If you thought the Rhino was cool in his battles with Spider-Man, then you’ve probably also heard of the Grizzly, because he’s pretty much the exact same thing. Maxwell Markham is a criminal who wears a giant bear suit, whose human face sticks out of the bear suit’s mouth. He is literally the Rhino, but a bear. At least he’s got super strength. 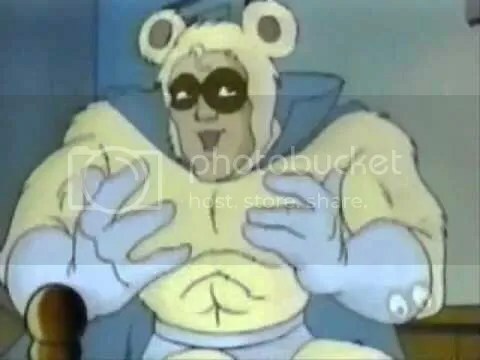 Grizzly is mostly used as comedic supervillain muscle, but at least once he was given a sexier makeover, but it didn’t last. Nowadays he pals around with Ant-Man. This guy, this is the guy. Ursa Major is a mutant with the ability to transform into a giant were-bear. That’s his mutant power! He’s a member of the Winter Guard, the Russian Avengers. And he’s been a staple of the team since they were created in 1981. The story goes that Mikhail Ursus was one of the only mutants born in Russia to survive the country’s genetic cleansing. He went on to train in a Russian mutant school, which was being run by a mad scientist who siphoned off the powers of his students. Ursa Major survived that too, and went on to join Russia’s elite super-soldiers to form the Winter Guard! 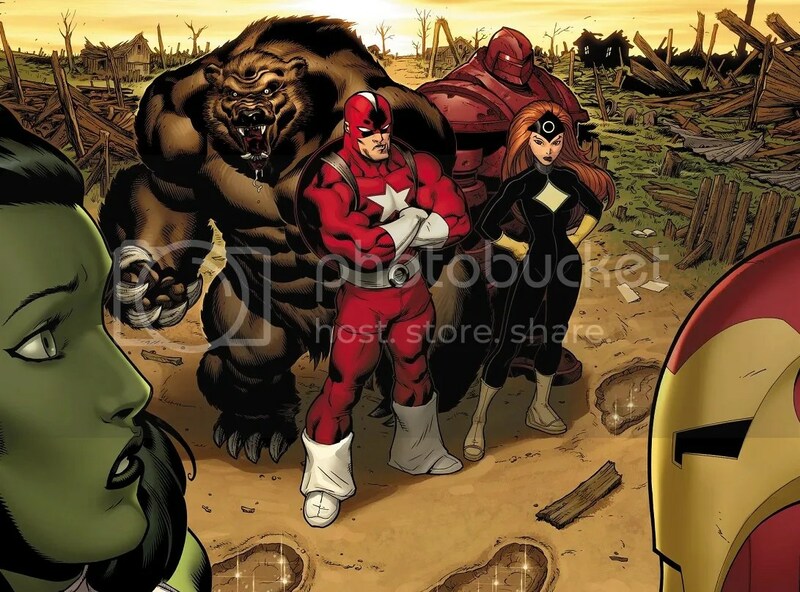 Now every time a Marvel superhero sets foot in Russia, they get to tangle with a giant were-bear superhero! Honorable Mention: This Russian machine-gun wielding bear-man! I don’t know anything about that gif, but that’s the new bear superhero debuting in Russia’s own original superhero movie, Guardians. I don’t have much information on the movie, but that alone is probably all the marketing it needs. I’m telling’ ya, there’s just something about Russians and bears! 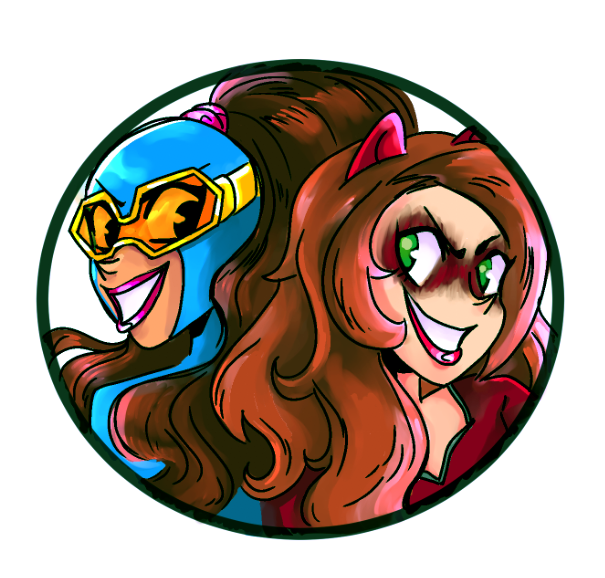 Posted on May 18, 2016, in Comics, Lists of Six!. Bookmark the permalink. 3 Comments. Got one more for you – Green Lantern Voz. Especially the way Patrick Gleason draws him. That guy looks like he’s ready to tear your arms out of their sockets. Voz is the prison warden, right? I’ve always liked him!